Our 1994 Geo has been driven into trees and through mud and water. It tilts dangerously to one side because much of the frame is rusted away. 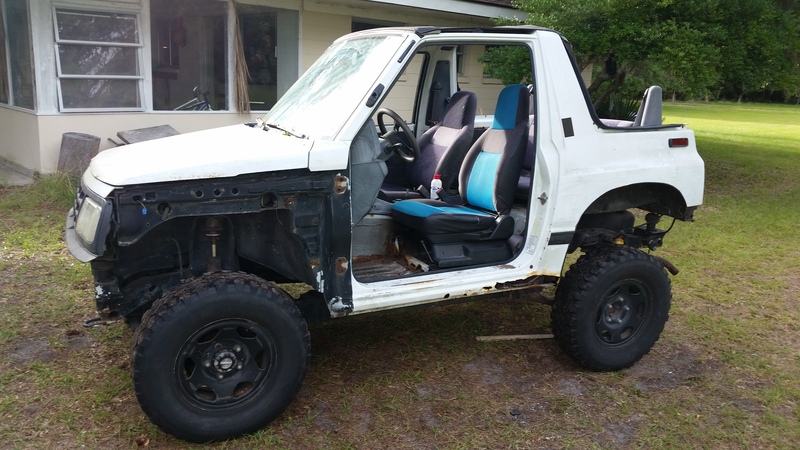 It is missing a door and various other parts. But it still is limping along, getting us into the field in Georgia. Not only that, it has a new driver’s seat this year (well, new used), thanks to Roque and Neal at the UH auto shop.